Amigami Introduces the Mage Hood! As the winter chill begins to creep in around us, my thoughts have been increasingly focused on creating a line of warm outdoor wear. This is especially true since we have recently obtained a fairly sizable array of luxurious alpaca yarn. This hood is the first of my proto-types. 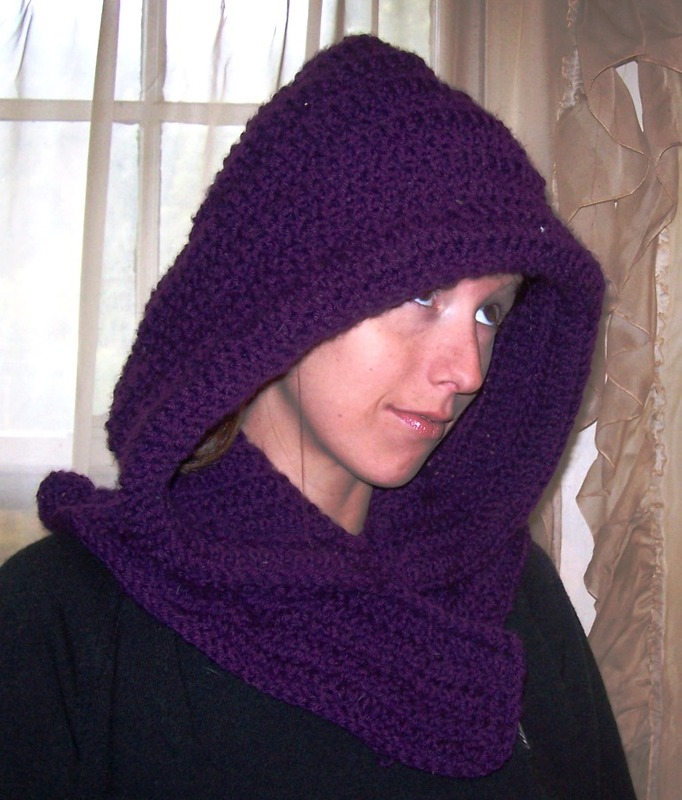 I’ve often felt myself wishing the hoods on my jackets were larger and more voluminous, and this crocheted hood definitely towers above the rest. 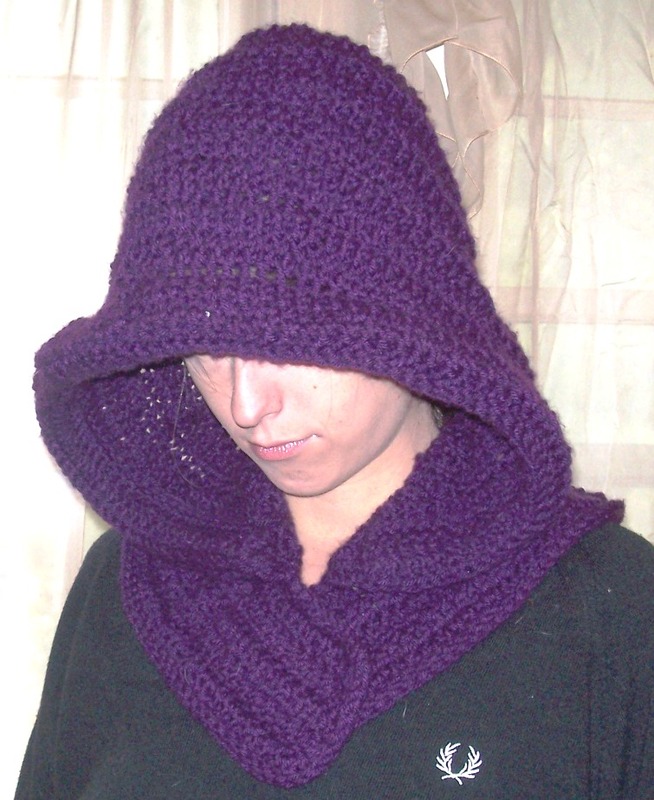 It was made using a whopping half pound of violet acrylic worsted yarn. I wanted to work in acrylic for the first of the hoods, so as not to squander any alpaca on unknown territory. The structure of the hood has foundation in this precious Russian baby hat. In the Mage Hood however, the hood’s point is greatly enlarged & tapered, and the shoulders are tailored to lay flat against the wearer. Additionally, the front of the hood was folded inwards & attached, allowing for a thick plush brim which adds definition to the piece. To take this hood to the next level, I’ve relinquished it to my partner Ramon, who is currently felting the garment with alpaca fiber. It’s looking Amazing, and I can’t wait to post pictures once it’s completed. He is also carving antler toggles to secure the hood, which I think will be the perfect accent for the violet & natural colors. So keep watching for more pics and more hoods in my Etsy shop soon!